CALLING ALL OPPONAUTS!! I have a friend who is in dire need of a second opinion on a second car. And you automotively apt bastards are just the people to pull this off. So let’s get started, shall we? A good friend of mine (we’ll call him “Al”) currently has a 2013 Nissan GT-R with about 700 hp at the wheels on E85. He wants more speed, but it would cost him about $25-35k to accomplish this. Al also has to take into account that he’ll lose pretty much every dime he’ll put into it PLUS additional depreciation by putting on about 10k worth of miles over the next two years. Thus, he is considering a second option. 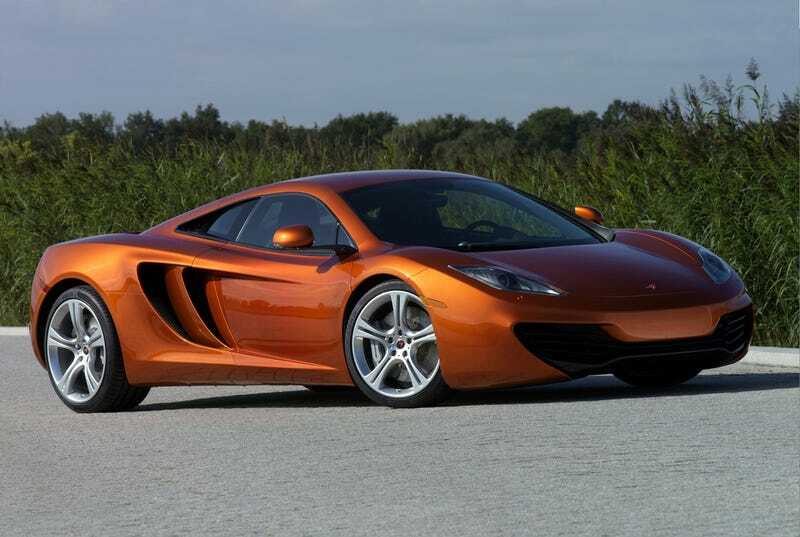 2012 McLaren MP4-12Cs are running anywhere between $149-159k with 10k-18k on the odometer. Annual services aren’t expensive (I think he said about $1,500). Al figures that he could buy one of these examples, put 10k miles on it, and sell it after “two years MAX” while only taking a depreciation hit of $20-25k. That’s where you come in. Are there any similar (HARDTOP COUPE) vehicles that you know of that would be similar in price, age, costs, and performance (0-60: 2.9, 1/4: 10.8)? Give Al options.